When Michael Saffioti’s mother suggested that he turn himself in to the Lynnwood Police Department for missing a court date related to a minor marijuana violation, surely she thought the 22-year-old would get a slap on the wrist. She could not have imagined that her son would not return from the police station. Saffioti struggled with a potentially fatal dairy allergy, experiencing great anxiety associated with the constant threat of a reaction. To calm his anxieties, he was using medical marijuana. Although he lived in Washington, which allows the use of marijuana for medical purposes, Saffioti did not have a recommendation from his doctor. After a few brushes with the law over his marijuana use, Saffioti missed a court date, and went to the police station with his mother, medical records in hand to resolve the issue. But, after one night at Snohomish County Jail, Saffioti died after being served a lethal meal of oatmeal containing dairy. Even more disturbing, Saffioti had told the guards he was having a reaction and they did not believe him, leaving him to die a slow death in his cell. The rhetoric the public is fed by the government would have us believe that drugs are prohibited to protect the younger generation. But how can that be when the sanctions associated with the most commonly used illicit drug, marijuana, are creating more harm to young people than the drug itself ever could? Michael Saffioti’s death is just the latest outcome in a disturbing trend that threatens the chances of success and opportunity for an entire generation of young people. Zero-tolerance drug policies in high schools, undercover officers soliciting marijuana from teens and sanctions involving the removal of support for education and employment are forcing young people into a hopeless maze of poverty and the criminal justice system. Many people are familiar with the Trayvon Martin case, in which a young, unarmed man was shot and killed by a community member on neighborhood watch. What many people do not know is that Martin was in that neighborhood visiting his father because he had been suspended from his previous high school in Miami for a baggie with “marijuana residue” in it. The school district’s zero-tolerance policy found this grounds for suspension. With zero-tolerance policies, any amount of drug for any reason, even drug residue, can result in a suspension or expulsion, no questions asked. Many would argue that young people involved in drug use need greater attention from the educational system, not to be tossed aside. This was the case for Josh Anderson. 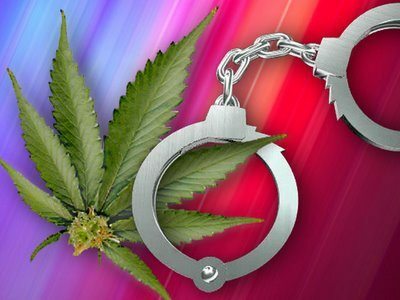 In 2009, the 17-year-old Virginia high school student was caught twice possessing marijuana on school property. The first time he was expelled from one school and enrolled in another. After his second offense, the day before a hearing to determine his fate, Anderson committed suicide rather than face the hearing. But it’s not just inadequate care in our criminal justice system or the emotional fragility of adolescence that is putting these young people at risk. The government is playing its part to ensure that young people get entangled in the criminal justice system before they are old enough to drink by sending young, attractive, undercover cops into high schools to solicit marijuana from students. In Florida, an 18-year-old honor student faces a felony marijuana charge for giving an undercover cop $25 worth of marijuana. In Massachusetts, a student received a two-year jail sentence for selling one joint to an undercover cop. How does our society benefit from creating a population of people under the age of 25 with felony records and interactions with the criminal justice system, all while creating sanctions that greatly reduce their chance of success as adults? In 28 states, a student who is convicted of possessing any amount of marijuana will be denied federal financial aid for college for a year, and may also be denied state educational aid for a year or longer. Those who continue to support marijuana prohibition are fond of saying, “Think of the children.” Weighing down the younger generation with the burden of arrest, criminal records, stigma and financial struggle is a greater risk to the health of the entire nation than marijuana could ever be.